Are there any more to come? from the back of a weary man in Jerusalem? 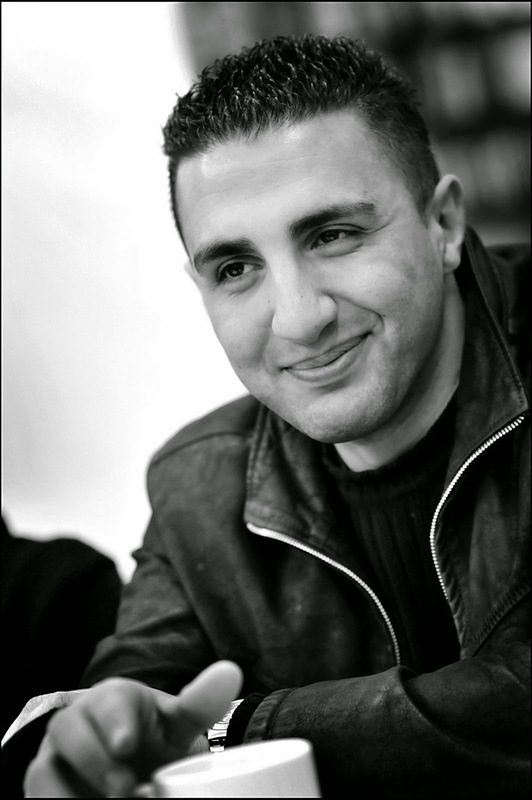 Najwan Darwish, one of the foremost Arabic-language poets of his generation, was born in Jerusalem in 1978. He has worked as the editor of two cultural magazines in Palestine and was a cultural critic for the prominent Lebanese newspaper Al-Akhbar from 2006 to 2012. Darwish has been an organizer and advisor for many public arts projects, among them the Palestine Festival of Literature. In 2009, he founded a literary press in Jerusalem, and he is currently involved in establishing a new pan-Arab newspaper, where he will be the chief editor of the arts and culture section. Also in 2009, he was on the Hay Festival Beirut’s list of the “best 39 Arab authors under the age of 39.” He currently resides in Jerusalem. Kareem James Abu-Zeid has translated novels by the Lebanese writer Rabee Jaber and the Sudanese writer Tarek Eltayeb, as well as the poetry collection The Iraqi Nights by Dunya Mikhail. Abu-Zeid also translates from French and German, and has taught university courses in four different languages in Berkeley, Mannheim, and Heidelberg. He works as a freelance translator and editor.